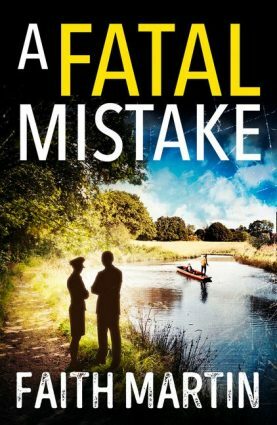 On a night in August of 1938, police constable Edward Watkins is walking his beat when he comes across some strange sights. It seems that somebody is walking around the streets of London in the garb of a seventeenth-century plague doctor. Soon afterwards, Watkins has a conversation with an odd character calling himself Doctor Marcus, a doctor of crime. Suspicious, the officer is convinced that the doctor has hidden a body inside a nearby trash can—a suspicion that Doctor Marcus confirms! Watkins looks into them and finds they are all empty, much to Marcus’ apparent surprise. So the mad doctor skips off, but as a parting shot he tells the officer to look into the trash cans once again just in case. When Watkins does this, he discovers to his horror that there’s a dead body inside after all. Before long, Peter Moore is found dead, shot during an attempted burglary inside the home of his own employer! Dr. Twist and Inspector Hurst hurry to the scene of the crime, and they attempt to solve this complex mystery. Hurst instantly comes up with six hypotheses, but Dr. Twist isn’t entirely convinced, and postulates that there must be a seventh hypothesis to explain everything. This is the plot of Paul Halter’s La Septième Hypothèse (The Seventh Hypothesis), a book that has just been translated into English by John Pugmire and published. 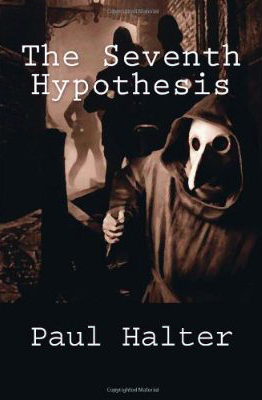 The Seventh Hypothesis is quite possibly Paul Halter’s masterpiece. This is a book with such complexity that it leaves The Fourth Door, The One-Eyed Tiger, and The Demon of Dartmoor straggling behind as though they were padded by extensive social commentary. There is so much meat to this story and you’re never quite certain what on earth is going on until the end, even if, by some chance, you tumble to the secret behind a trick or two before the end. There are at least two impossibilities in this novel. The first has an excellent and simple solution. The second is a bit more complex and harder to guess, but I liked the solution to the first one a little more. Just as much fun as the impossibilities are the verbal duels, which seem like they were inspired by the verbal duels in Sleuth, with revelation after revelation further complicating the plot despite there being only two principal actors. The most notable achievement is that Paul Halter effectively gives you a mystery with only two suspects and challenges you to guess which one has committed the crimes. You have a 50:50 chance, right? And yet Halter manages to calculate just how your brain will work. Hmm… you say to yourself. It seems impossible for X to have done it, so he’s got an elaborate alibi that will get busted wide open, but if that’s the case it means Y must have done it to frame X, but if that’s the case, it must be an elaborate double-bluff designed to get you to think Y has done it when it was really X, but if that’s the case… I made my official guess near the start of the novel, but must have changed it a good five or six times before I got to the end. This is quite simply a diabolically ingenious detective story, a masterpiece of plotting at its finest! In fact, I wouldn’t hesitate to call this one of the best detective stories I’ve read all year long. 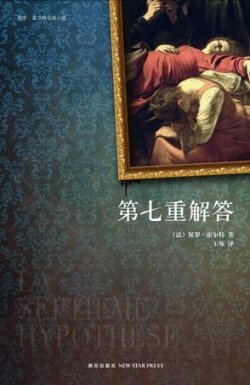 To write this review, I read both versions of the novel. My French edition is found in an omnibus released by Le Masque, and I bought the English translation in Kindle form. I can highly recommend both of these editions. John Pugmire has done an excellent job of getting to the heart of Halter’s writing style. I can’t define it in technical terms, but I performed the only litmus test I can offer: I read one chapter of the book in French, read the next in English, then switched back into French. All three chapters felt like they were part of the same book: an accomplishment for which John Pugmire must be lauded. He finds that sense of play: Halter challenges his readers to solve the crime and then leads them on a merry chase down several garden paths simultaneously. 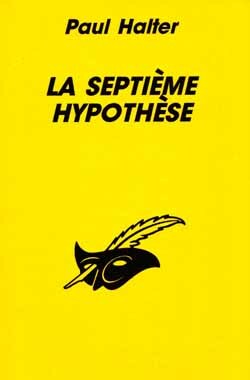 Overall, The Seventh Hypothesis comes highly recommended for fans of complex Golden-Age-style plots. This is one of Halter’s best efforts and one of Dr. Twist’s most complex cases. It ends on a wholly satisfactory note, and the solution is diabolically ingenious. The writing is most agreeable, with a sense that the whole thing is a challenge to the reader: a challenge Halter won hands-down. This is plotting at its finest, and is not to be missed under any circumstances! The Kindle edition of this book can be purchased here. A print edition can be purchased from Amazon here. As big a fan of Halter's as I am, and as intriguing as the opening of THE SEVENTH HYPOTHESIS is, I ultimately came to find it rather tedious. The reason is that it's all plot and no characterization. Everyone sounds alike, and trying to keep track of who was who--apart from Twist, Hurst, Miller and Ransome--and what his or her role was, often required me to page back through the story. I know three-dimensional characterization is not Halter's thing, but in other novels he at least made some effort to differentiate his cast. Like you, I found some scenes in it reminiscent of "Sleuth." But Halter's dialogue doesn't begin to approach Shaffer's. 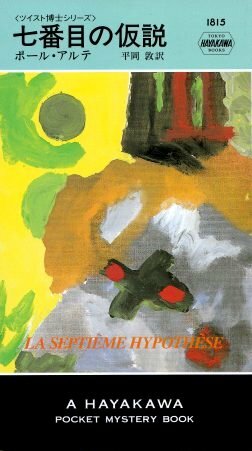 Overall I'd call it a book for the kind of purist to whom the puzzle is everything and characterization negligible.